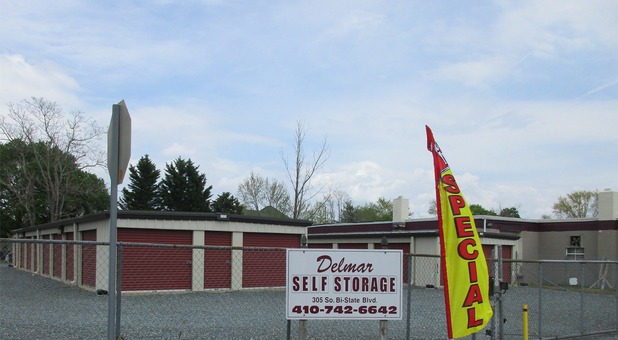 If you’re looking for affordable and convenient self storage units in the Delmar, MD area, look no further than Neighborhood Self Storage! We’re conveniently located at 305 Bi State Blvd right beside the Stop & Shop. 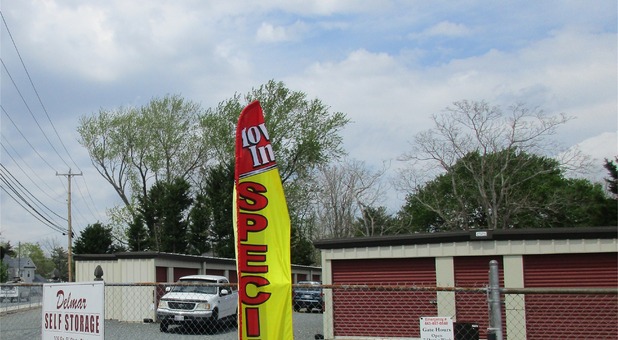 Since we’re located on the Maryland/Delaware border, even people who work in Laurel, Gumboro, and Westwoods, can benefit from our storage expertise. Come see us today! You'll never have to struggle at Delmar Self Storage because the units at our facility include drive-up access. Instead of carrying your items all the way from your vehicle, you can simply park outside your unit and load or unload directly inside. Our units are located on the ground floor, so you won't have to navigate elevators or stairs at all. Delmar Self Storage really is as convenient as it gets! Are you worried about security? Don't be! Our facility is fully fenced and gated, meaning the only people you'll see here are allowed to be here. Our access hours are 7 days a week, from 6AM to 9PM, allowing you to visit your storage unit before or after work hours. Because of this, we're equally popular with business owners as we are with residents. So, if you're looking for somewhere safe to store all those important documents, Delmar Self Storage is here to provide some extra room. Call us today to reserve your unit! You will need one form of current federal or state issued identification with a photograph and signature on it, such as your driver's license, a phone number where we can reach you if needed, and an emergency contact. You will be required to pay the first month's rent and a one time Security deposit or Administration Fee. Please refer to each individual location for more information. Your rent is due on the anniversary date of the day you moved in. For example, if you moved in on the 5th day of the month, then your rent is due on the 5th of every month that follows. We do not send out bills, so it is your responsibility to pay your bill on time. Each location offers an automatic payment option with your credit card. Contact the facility you're renting from directly to set this up. Please use our Storage Calculator to help you determine what size storage unit you should rent. It takes just a few minutes to add the items that you want to store and it will calculate the estimated size you need. Most of our facilities feature computerized gate access. You will set up a unique gate access code at the time of rental to enter the gates. All of our facilities have video surveillance systems, security fencing, and lighting. You have access to your unit seven days a week, 365 days a year. Please refer to individual locations for specific gate hours. Yes, you can purchase a new lock at the office. Only you will have a key for your lock and unit. You may also bring your own lock. It is your responsiblity to keep your key or combination to your lock. No one has access to your unit unless you give them the key to your unit. If you do give someone else access to your unit, it's important that you provide us with their name in writing. Contact the manager directly for assistance. Pay Online - You can Pay Online by clicking the "Pay Online" tab on our website. You must first request a PIN number from our manager. Once you have the PIN number, choose the correct facility and enter your storage unit number and PIN number and follow the instructions.